Recently I have been hearing the word “macronutrients” when people are discussing their diet. What has caught my attention most is it seems to be the new “buzz” word for eating healthy, but I think many people using this term are unclear as to what it really means. 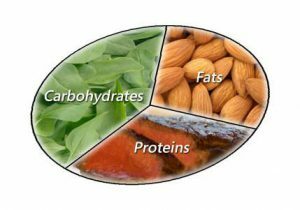 Macronutrients are simply the three nutrients our bodies need in large quantities, protein, carbohydrates and fats. We hear these three words a lot too, but it can be confusing as to what foods have them and how we should eat them for a healthy diet. Let’s start with protein. Protein is very important for our bodies and for our health. We use protein to build and maintain muscle, bones, blood and organs. The protein we eat is broken down to amino acids. Amino acids are then used to build and maintain the cells in the body. If we don’t get enough protein in our diet, the body will break down our muscle into the amino acids needed for maintenance. However, if we eat too much protein, our body will store it as fat and it can be hard on the liver and kidneys. The amount of protein each person should have can vary, but women should typically have a minimum of 65 grams each day and men should have at least 80 grams each day. Proteins can be found in most foods, but some foods have more than others. Good sources of protein are animal meats, such as chicken, turkey, beef, pork, fish and shellfish. Other animal sources are eggs and most dairy (milk, yogurt, cheese and cottage cheese). Good sources of plant protein include soy and soy products (tofu, tempeh), beans, nuts and seeds. The second macronutrient is carbohydrates. Carbohydrates are the main energy source in the body, especially the brain. There are two types of carbohydrates, simple and complex. Simple carbohydrates are found naturally in some foods, like fruit, but also added to foods, in the form of sugar, such as cookies and soda. Simple carbs are digested quickly, spike blood sugar, and is often stored as fat. It is best to limit simple carbs because they are often void of nutrients, leave your body feeling tired and hungry quickly after eating, which can lead to overeating. Examples of simple carbs are sugar, corn syrup, honey, maple syrup, jams, soda and candy. 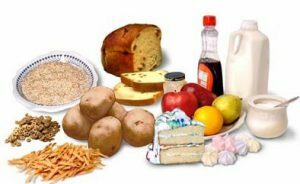 Complex carbohydrates are starches and fiber that are found in foods like fruits, vegetables, oatmeal, beans and whole grain bread. Complex carbs contain many nutrients important for our health, such as vitamins, minerals, antioxidants and fiber. Complex carbs take longer for the body to process than simple carbs and give the body nutrients that it needs. Therefore, they are a better choice than simple carbs, however, too much of any carb will be stored as fat. The last macronutrient to discuss is fat. It is necessary to have some fat in your diet. Fat provides energy for the body, helps absorb vitamins A, D, E and K, and helps keep hair and skin healthy. Calories add up quickly with fat, so it is important to watch how much you are having each day. There are different types of fat, some are better for the body than others. 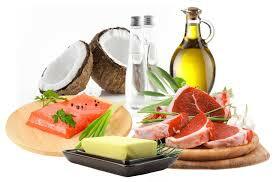 One type of fat, unsaturated fats, are healthy for the body. Good sources of unsaturated fats are olive oil, canola oil, fish, nuts and seeds. Omega-3 fatty acid is an essential unsaturated fat that our bodies need. This fat has been shown to reduce inflammation, help with joint pain and brain function, improve cholesterol and reduce the risk for heart disease. Omega-3 is found in fatty fish, cod liver oil, flax seed, chia seed, nuts and green leafy vegetables. Saturated fats are solid at room temperature and mostly found in animal products, including meats, milk, cheese and butter. These fats should be eaten in small amounts. Coconut oil is considered a saturated fat, however, it is a different type of fat that has been found to have many health benefits. Trans fats are unhealthy fats that can increase your risk for heart disease. Trans fats are found naturally in small quantities in animal fats, but most of the trans fats we get in our diet come from the processed foods we eat. Partially hydrogenated oils are the biggest culprit of trans fats. You will find partially hydrogenated oils in margarine, vegetable shortenings, crackers, cookies and other baked goods. 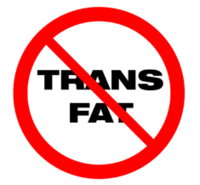 Try to avoid trans fats as much as possible. I think the true meaning behind why many people are talking about the macronutrients as a healthy diet has more to do with eating less processed foods and eating more simple protein, carbs and fats. A great example of this type of meal would be grilled chicken, steamed brown rice and roasted asparagus with a drizzle of olive oil. It is a balanced meal with unprocessed meat, whole grain carbohydrate and a vegetable with a little healthy fat added. It is a great goal for all of us to try to eat like this more often. So if you ever hear someone talking about eating the macronutrients, you will know what they are talking about, and maybe even understand it better! Previous PostPrevious Is Breakfast Really the Most Important Meal of the Day? Next PostNext Do Dietitians Only Eat Salad All Day?